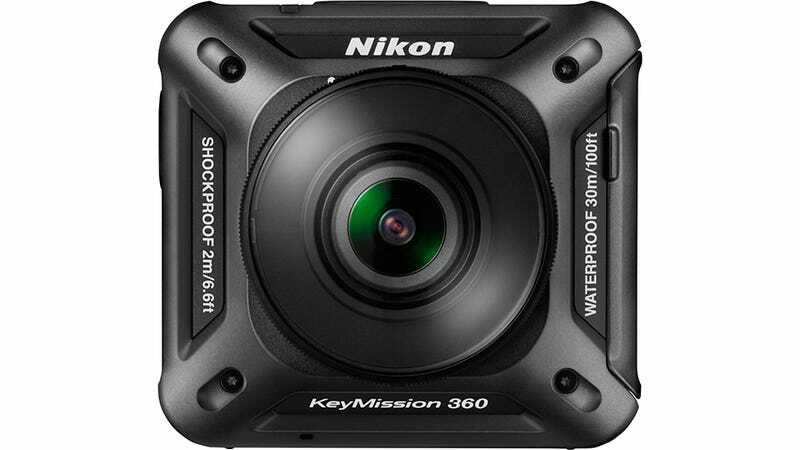 Nikon’s getting into the action camera game with a 360 camera with the Keymission 360. An action camera? A 360 camera? Nikon does not do these things. What! What we’ve got here looks more like the products riding the 360 wave, in the hopes of getting ahead of the looming virtual reality craze. So it’s no surprise that Nikon’s presentation at CES today was heavy on VR talk.